After catching my breath, I’ve continued exploring Belgrade. 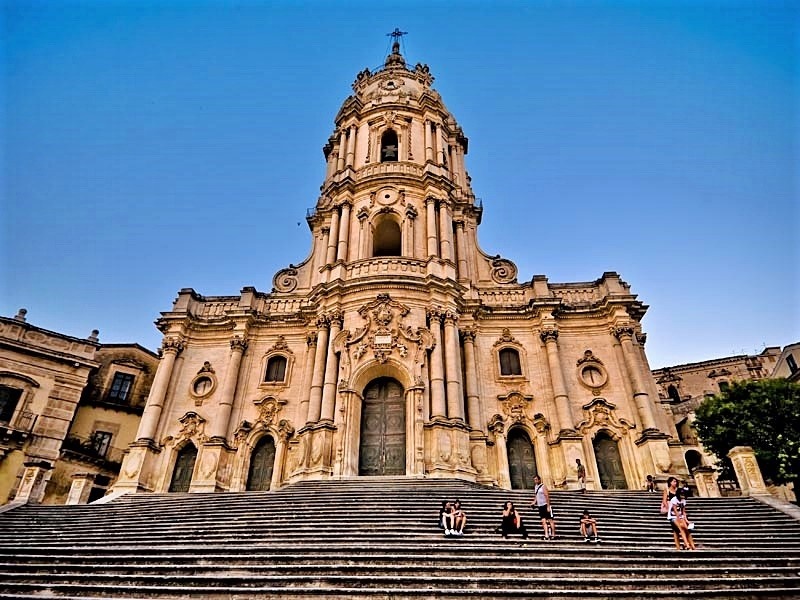 It’s an impressive European city influenced by Roman, Byzantine, Ottoman, Serbian, Russian, and Austro-Hungarian empires. 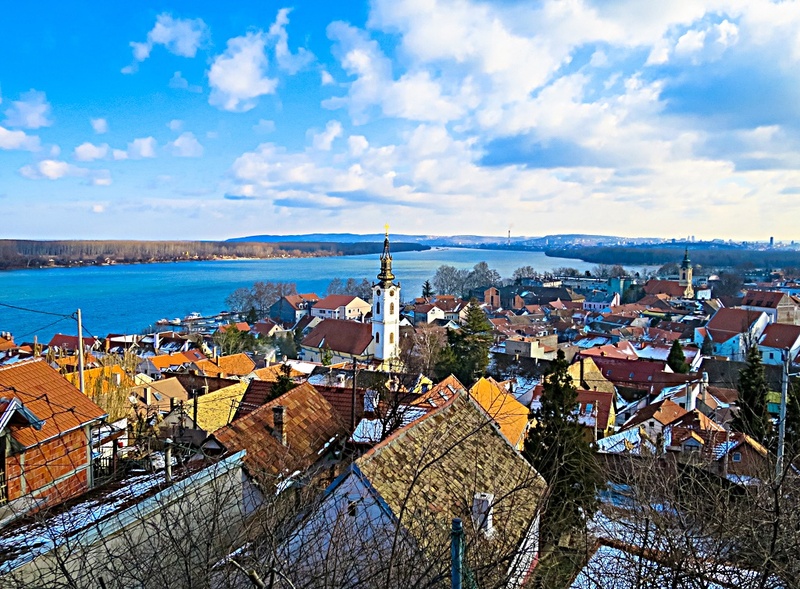 One of the oldest cities in Europe, it’s the only capital built at the confluence of two rivers – the Danube and Sava. 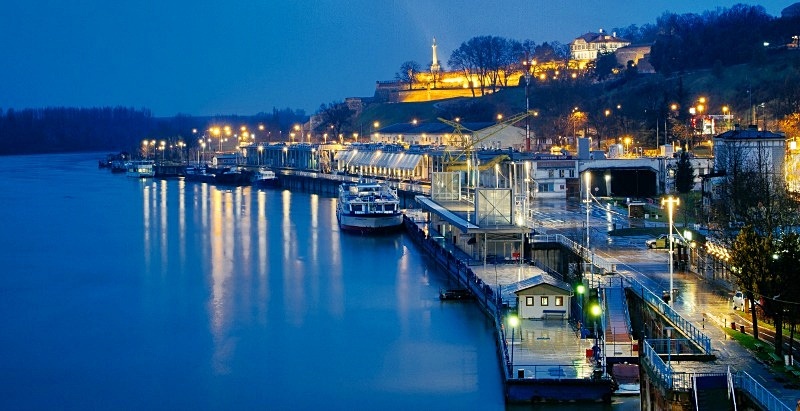 Complex history, language, and names make writing about Belgrade a formidable task. Belgrade’s history runs deep. Memories are short, so the purpose of my blog is making the effort to capture travel experiences. 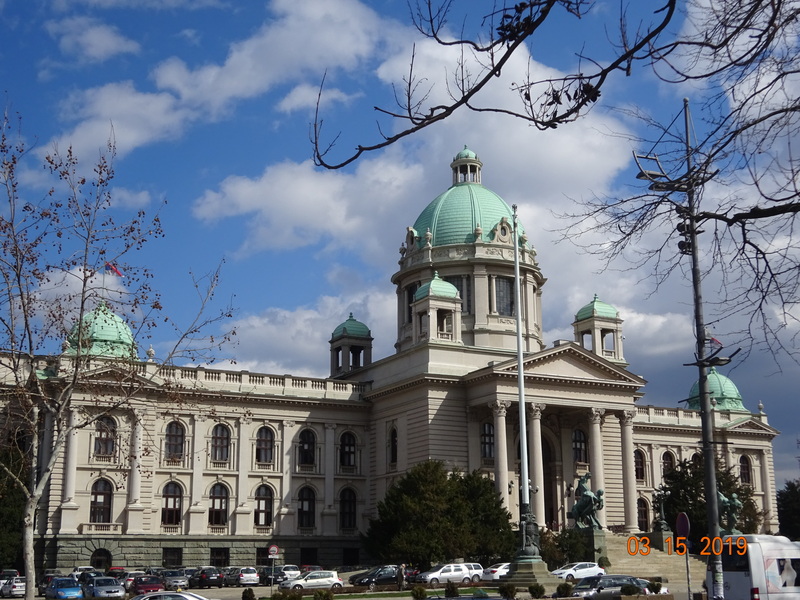 I’ve taken several guided walking tours and learned about Belgrade on my own. The complex history is a bit overwhelming. 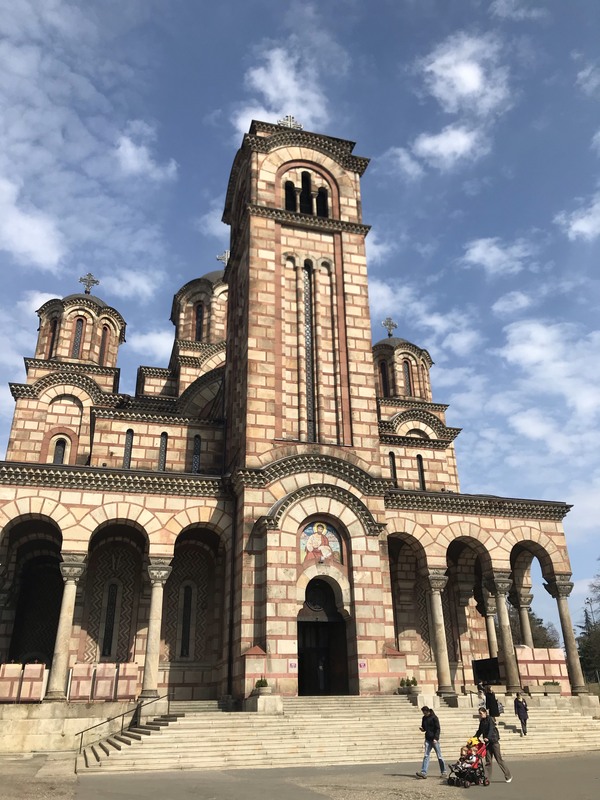 One tour guide – the owner of my rental flat – is “strongly connected with the history of Belgrade and Serbia”. Aleksandar’s family has lived in Belgrade for four generations. He’s knowledgeable about its history, traditions, and heritage and enjoys sharing his knowledge with visitors. The goal is providing tourists with an “understanding of Belgrade’s history and a perspective on modern life and culture”. Aleksandar is developing tours of Belgrade and outlying areas. His central city tour was fun and well-organized. Central Belgrade is near my apartment. 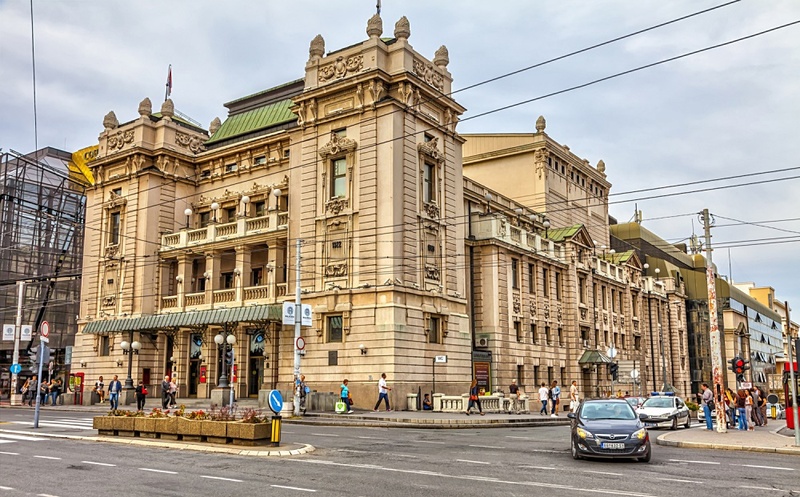 It’s a short walk to iconic buildings like the Old Telephone Exchange, Central Post Office, Church of St. Mark, Parliament Building, Presidential Palaces, and other landmarks. Many of the buildings were damaged during WW I and II and rebuilt. The Old Telephone Exchange is around the corner. 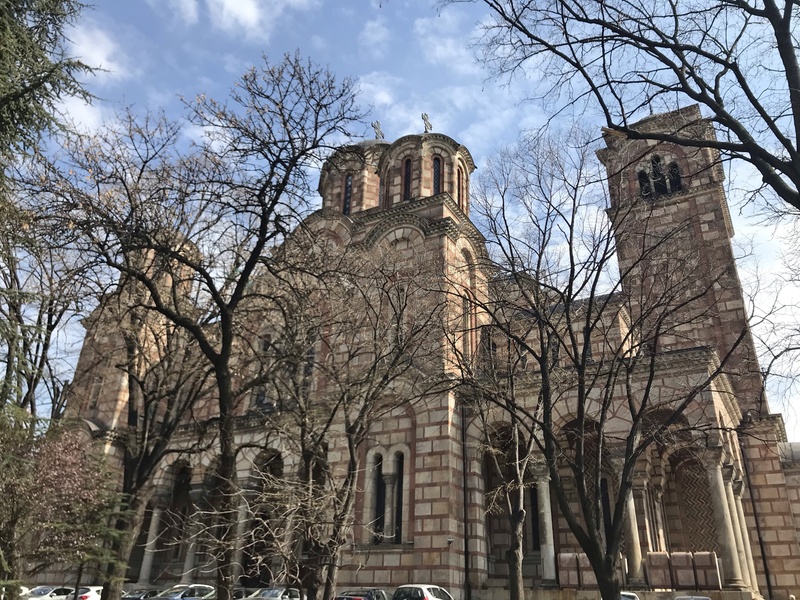 Completed in 1908 it was designed by architect Branko Tanazević in Serbo-Byzantine style. 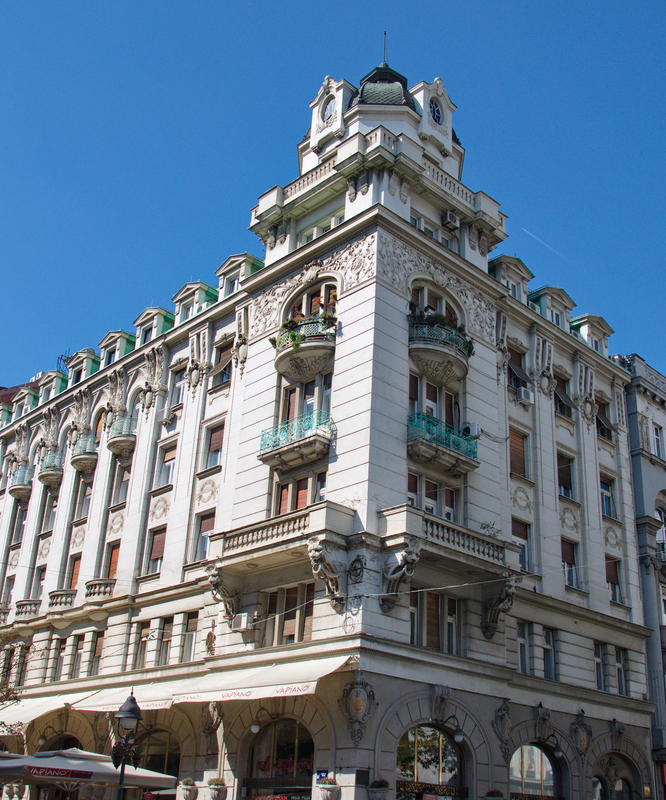 The beautiful building is part of Belgrade’s cultural heritage. I enjoy admiring it from cafés along Kosovska Street. 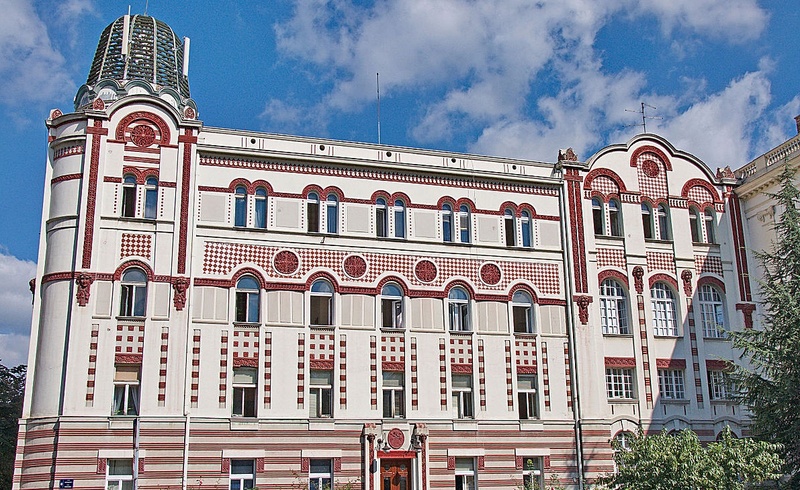 A significant cultural monument, Central Post Office architecture reflects the “complexity of social and political circumstances during the interwar period – 1919 to 1940”. It represents modernist and functional architecture. 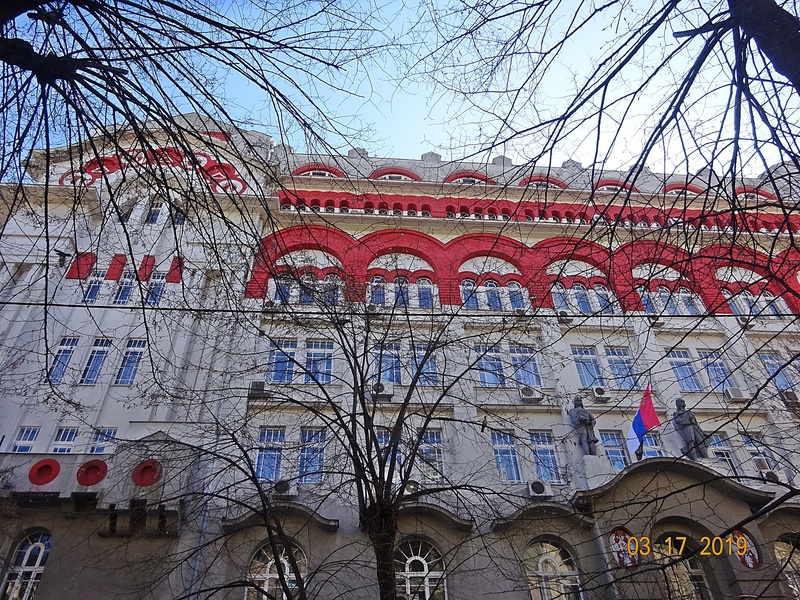 Built as a branch of the National Mortgage Bank, Serbian architect Aleksandar Đorđević designed it in the “spirit of the French school of academic style”. The Church of St. Mark is spectacular inside and out! Dedicated to Apostle and Evangelist Mark it’s in Tasmajdan Park near the National Assembly. Spring is in the air and trees in the lovely park are beginning to bud. Walks in the park and stopping for coffee at nearby cafés is always on my itinerary. The original church was destroyed during the war. Construction of a new building occurred during the interwar period. There are several tombs inside the church, including Mlan Obrenovic, King Alexander Obrenovic, his wife Queen Draga Mašin, and King Stefan Dušan the Great. 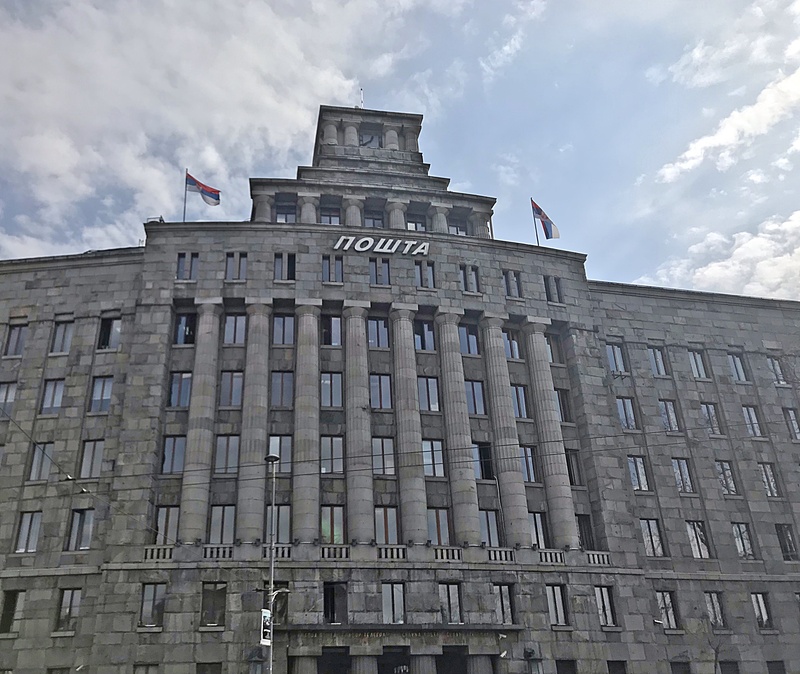 Completed in 1936 and designed by Russian architect and painter Nikolay Petrovich Krasnov, the National Assembly is the Republic of Serbia’s “supreme representative body holding constitutional and legislative power”. The Assembly has 250 elected members. 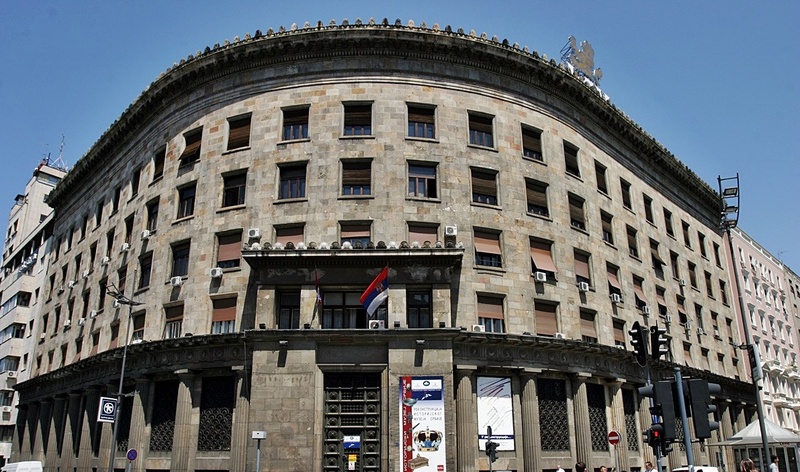 The scope of the National Assembly is “given by the Constitution of the Republic of Serbia”. I haven’t been inside the National Assembly but it’s beautiful and the sculptures at the entrance are magnificent. 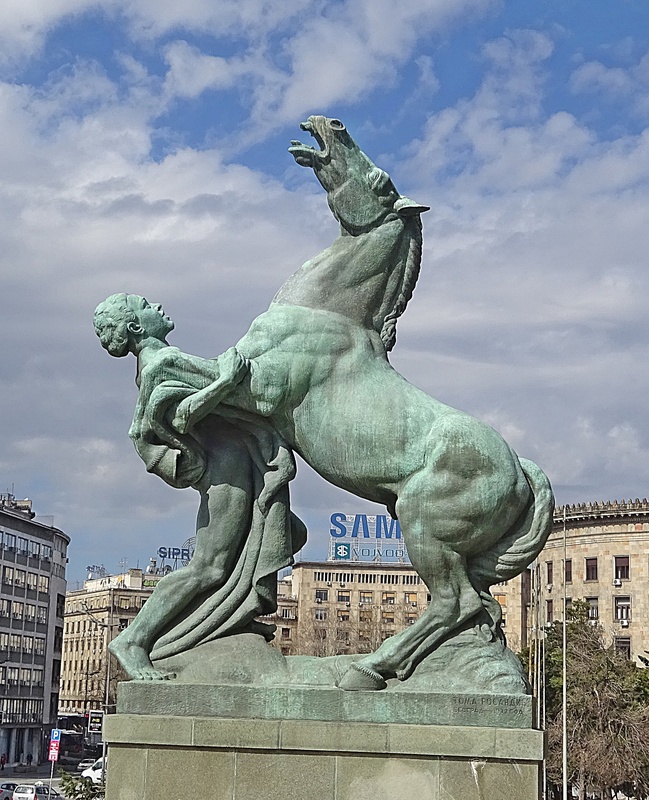 Entitled Black Horses at Play, they’re the work of Croatian sculptor Toma Rosandića. Supposedly, the theme of the statues is the struggle between man and nature. There are other more “political stories” about the meaning – most of them over my head. 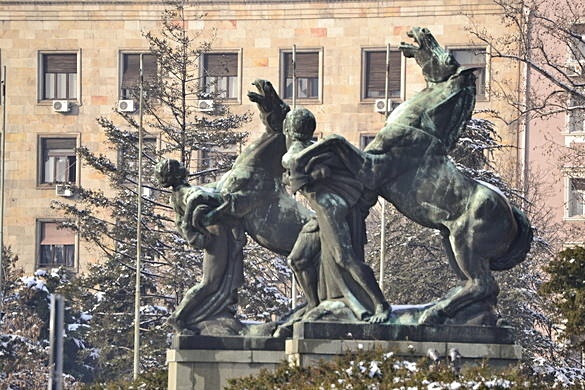 Belgrade has sculptures throughout the city honoring leaders and historical events. Some are by exceptional Croatian artist and sculptor Ivan Meštrović. 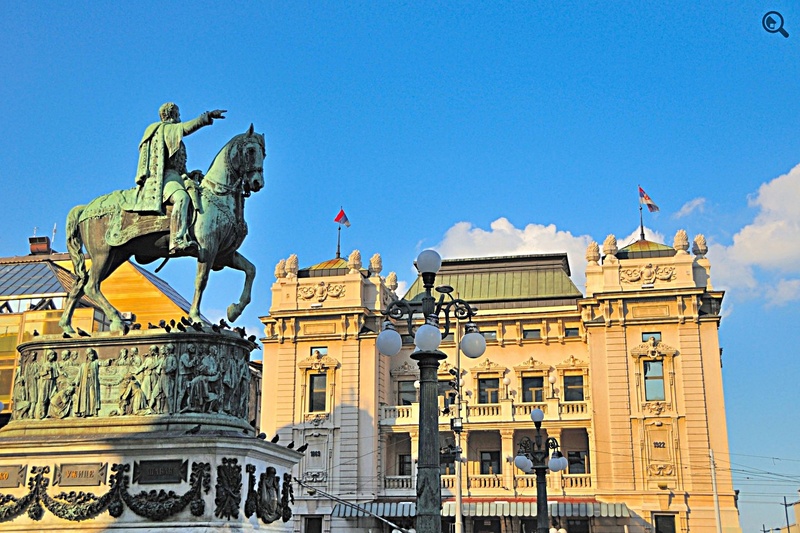 Belgrade’s palaces are across the street from the National Assembly on Andrićev Venac Street. Each palace has complicated history. 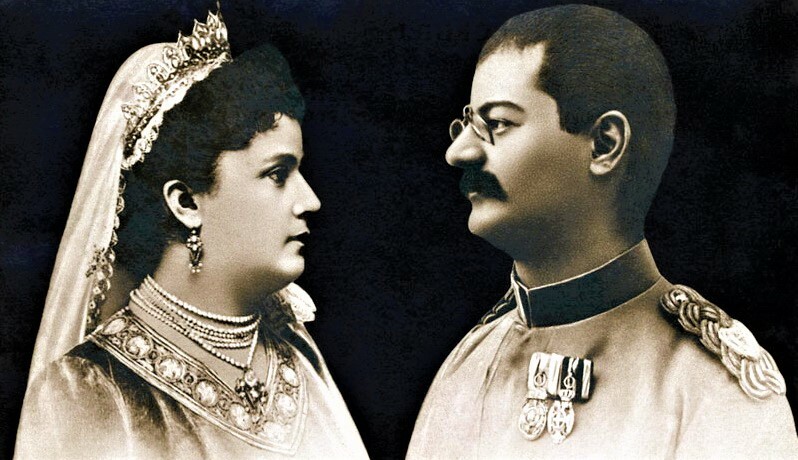 There are interesting stories of Serbia’s two royal dynasties – Karađorđević and Obrenović – including an assassination. New Palace – Novi Dvor – was the royal residence of Serbia’s Karađorđević dynasty and later the Kingdom of Yugoslavia. Today, it’s the seat of controversial President Aleksandar Vučić. Built when Serbia became a Kingdom, Old Palace – Stari Dvor was the Royal Palace of Serbia’s Obrenović Dynasty. The beautiful palace was restored after damage from WW I and II. 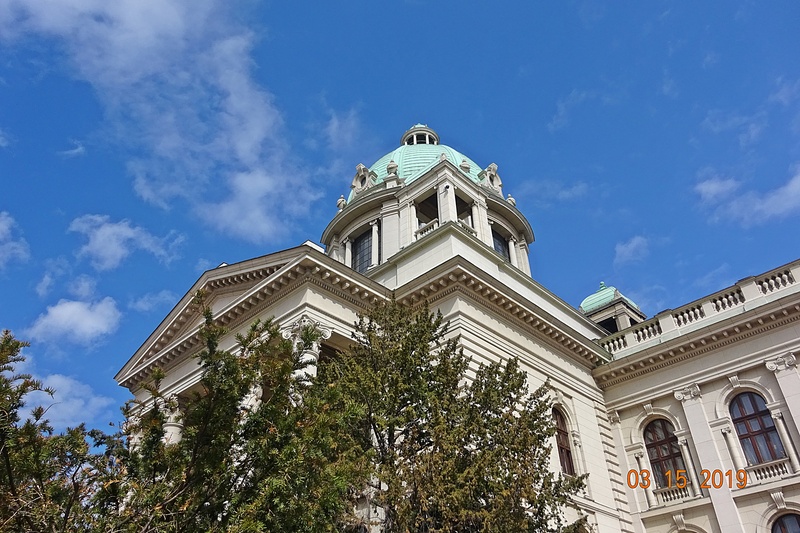 Today it houses Belgrade City Assembly. Serbian and Yugoslav politician Nikola Pašić is an “important statesmen and diplomat”. 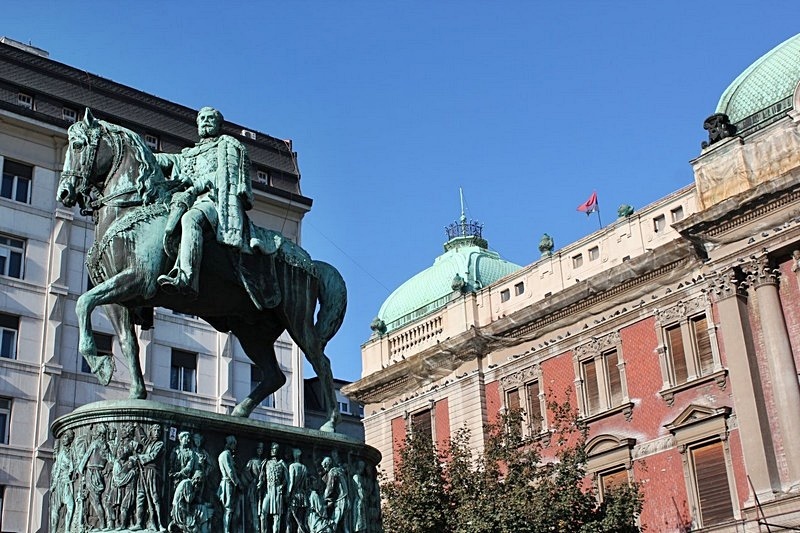 He’s credited with protecting Serbia from Austro-Hungarian, Ottoman, and Russian influences. 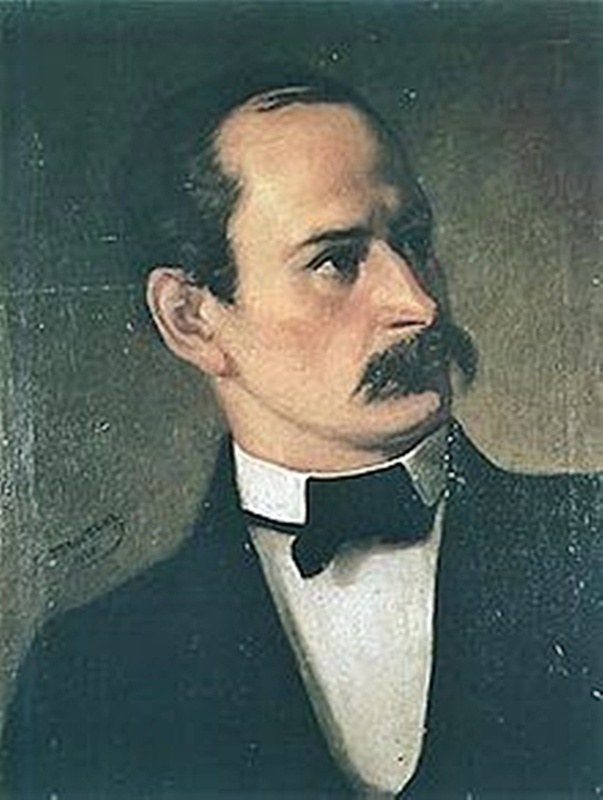 Pašić founded the People’s Radical Party and held prominent government positions including president of the Serbian National Assembly, Prime Minister of both Serbia and Yugoslavia, Mayor of Belgrade, and Serbian Envoy to Russia. 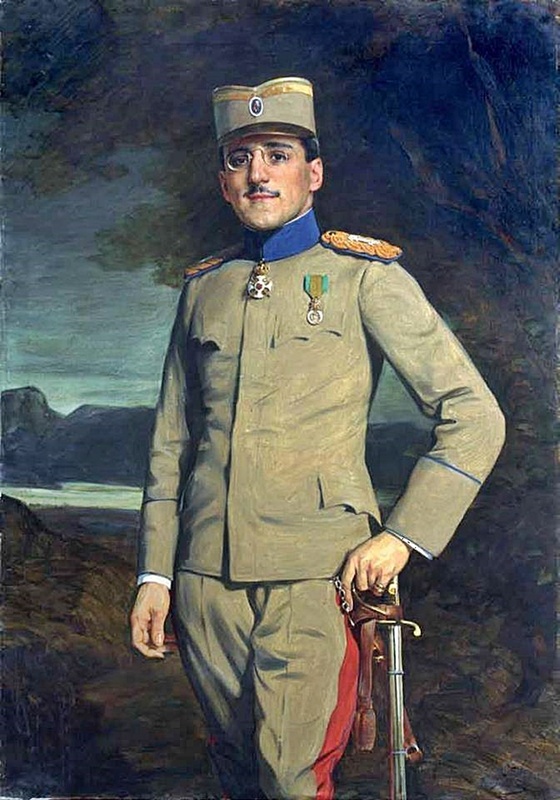 He was one of the authors of the St. Vitus Day Constitution of 1921 giving Serbs, Croats, and Slovenes a unitary monarchy. 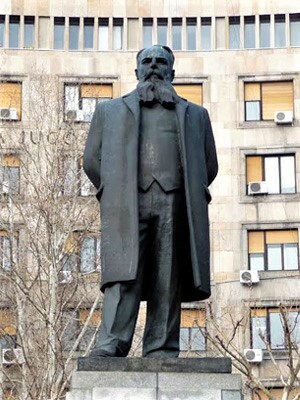 A square in Central Belgrade is named after Nikola Pašić. 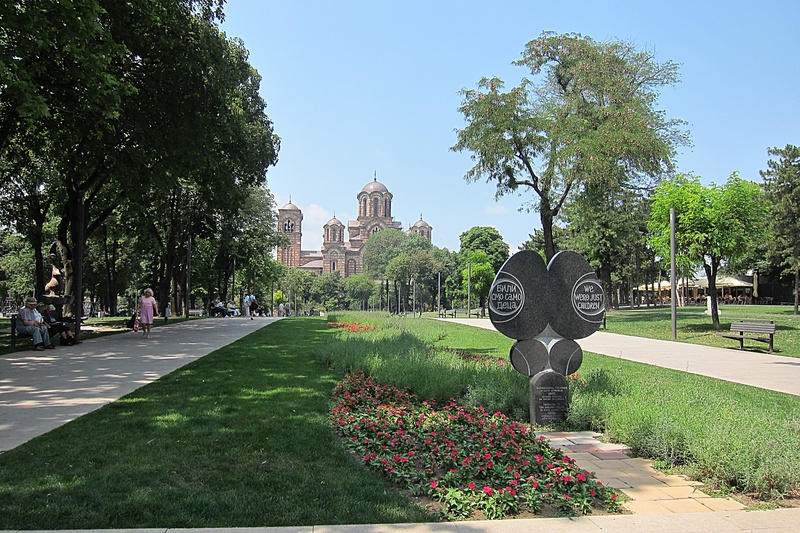 In 1998 a monument created by Serbian Sculptor Zoran Ivanović was erected in his honor. Terazije Fountain began as a water source for Belgrade. Towers were built throughout Belgrade to bring water from wetlands into the city. 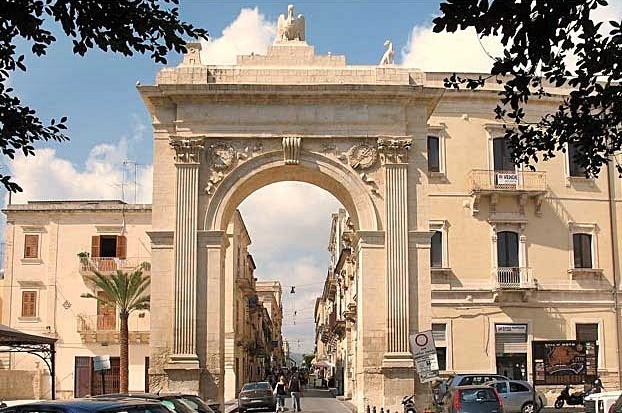 The “Turks called the water towers terrazioni,” so the square was named Terazije. 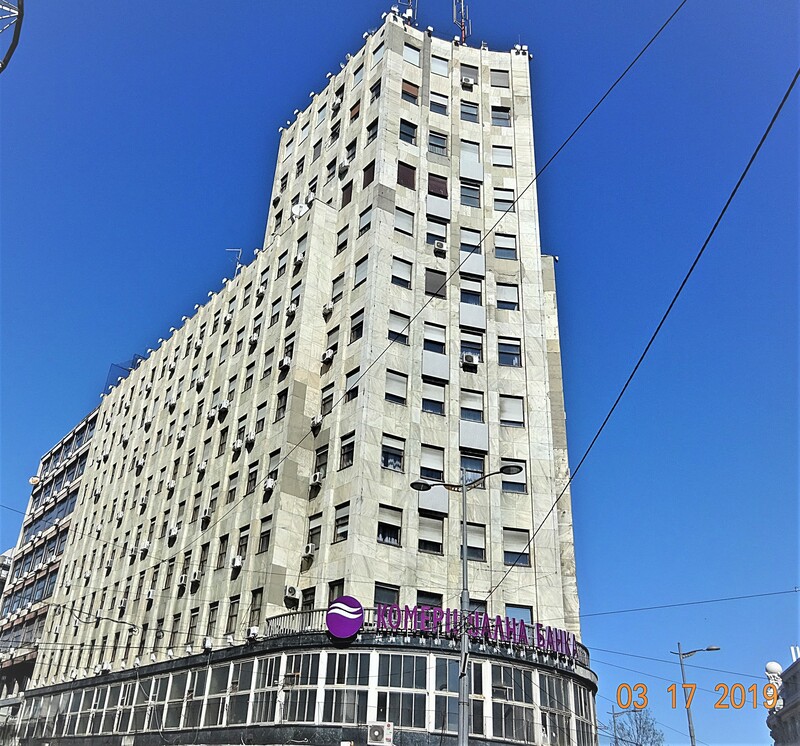 Located close to famous hotels, taverns, and shops, Terazije Square was “the center of Belgrade’s social life”. It’s also near the location where German fascists hanged five Serbian patriots in 1941. Moved and reconstructed many times, the Terazije is now in front of famous Moscow Hotel, a great place to enjoy tea or coffee. Republic Square is undergoing major renovation. 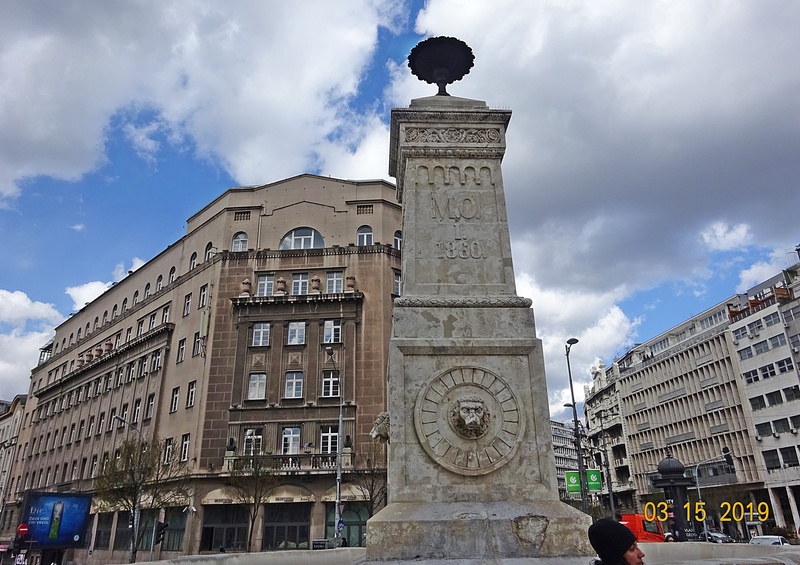 The square features a monument to Prince Mihailo Obrenovic (1823-1868), son of Prince Miloš and Princess Ljubica. He came into power following the death of his elder brother Milan in 1839. Italian sculptor Enrico Pazzi created the monument in 1882 honoring one of Prince Mihailo’s most important political achievements – “expulsion of the Turks from Serbia after five centuries of governance”. 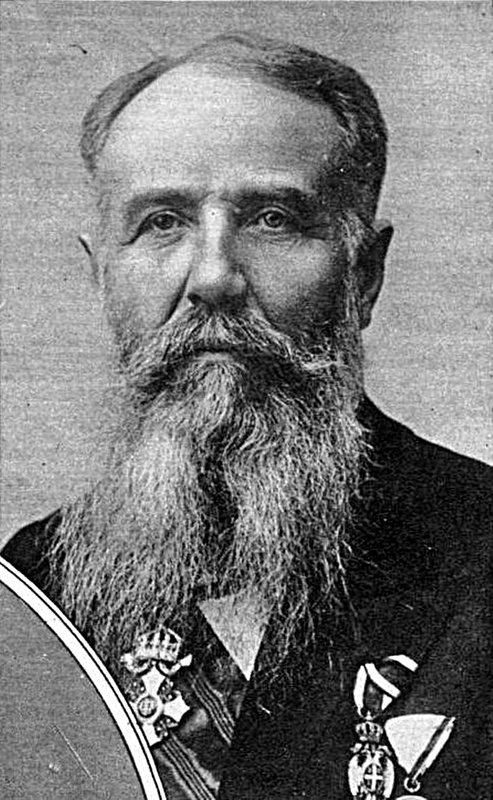 Mihailo Obrenovic was elected. He wasn’t a hereditary prince. In 1842, an uprising forced him into exile and brought Alexander Karageorgevich to the throne. 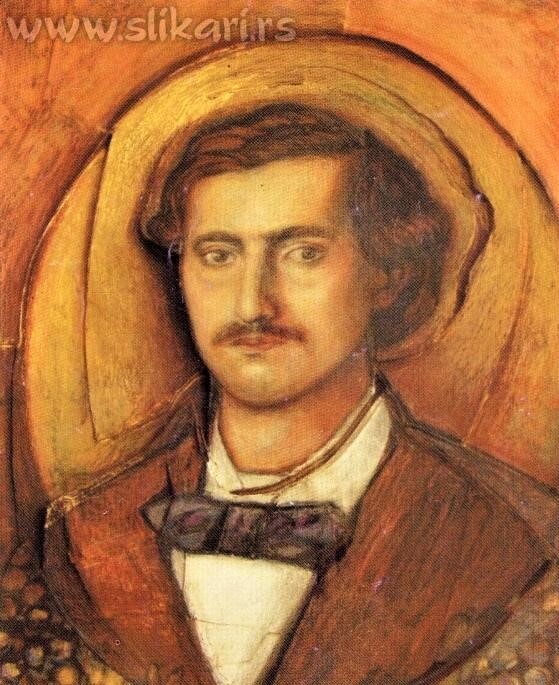 Obrenovic spent six years outside Serbia collaborating with writers and poets including Vuk Karadžić, Đura Daničić, and Branko Radičević. 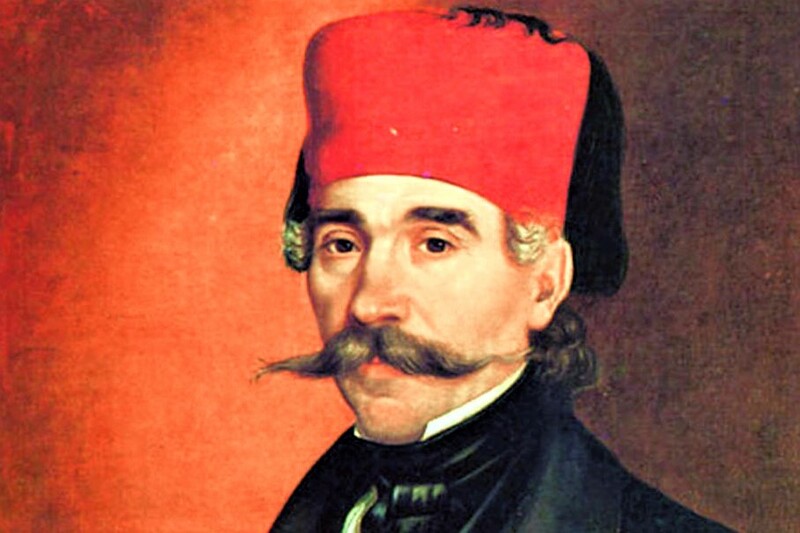 When Prince Miloš returned to Serbia in 1858, Mihailo accompanied him and took command of the army. After the death of Prince Miloš, Mihailo regained the throne in 1860 and established an army to “rid Serbia of the Turks”. 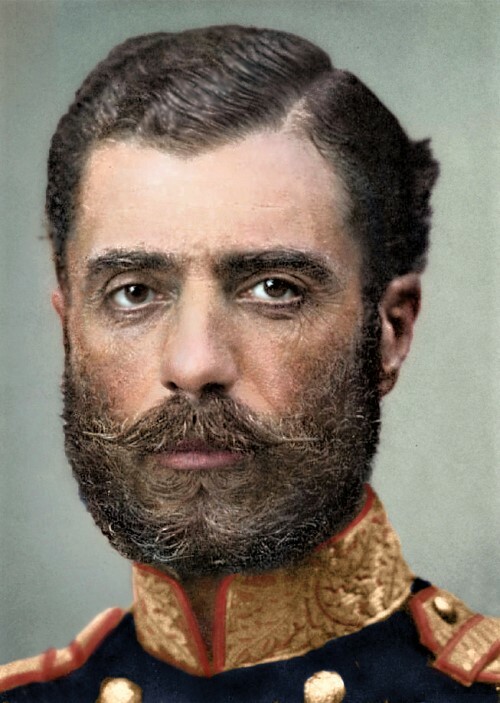 “Expecting war with Turkey, Mihailo made alliances with other Balkan states – Montenegro, Greece, Bulgaria, and Romania.” In 1868, he was assassinated in Košutnjak, a forested Belgrade suburb. Built in Republic Square in 1939, Albania Palace is one of the tallest buildings in the Balkans. It replaced beloved 19th century Albania Tavern, a popular but cramped and neglected establishment. In spite of its shabby condition, the old Turkish-style building was a favorite spot for local socializing. Albania Tavern’s loyal patrons were “reluctant to abandon their favorite gathering place”. On the day it was demolished they gathered at the tavern. Guests were served “until firemen started taking tiles off the roof”. The Palace was the main headquarters of the Nazi work organization Todt. During 1944 in a WW II Allied bombing it was hit by a “half-ton bomb”. Luckily the well-constructed building only suffered minor damage. 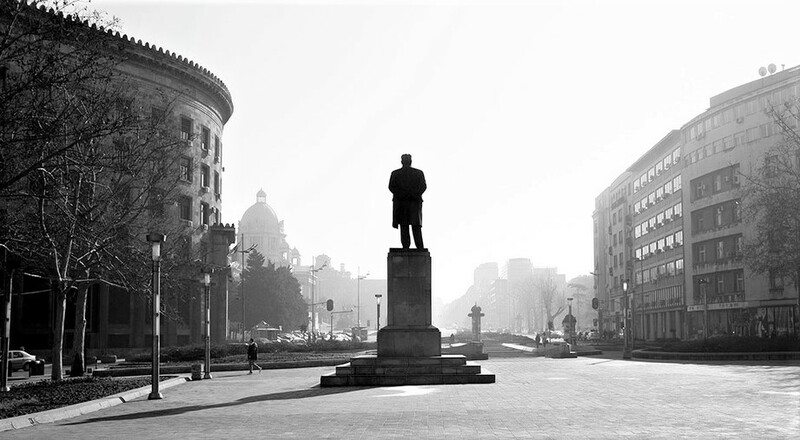 In 1983 Albania Palace became a Belgrade Monument of Cultural Importance. 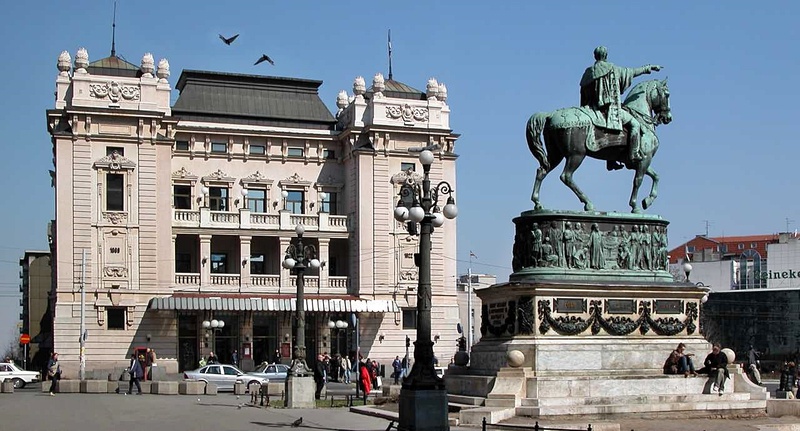 As directed by Prince Mihailo Obrenović, Aleksandar Bugarski, the “most productive Belgrade architect in the 19th century”, designed the National Theatre. 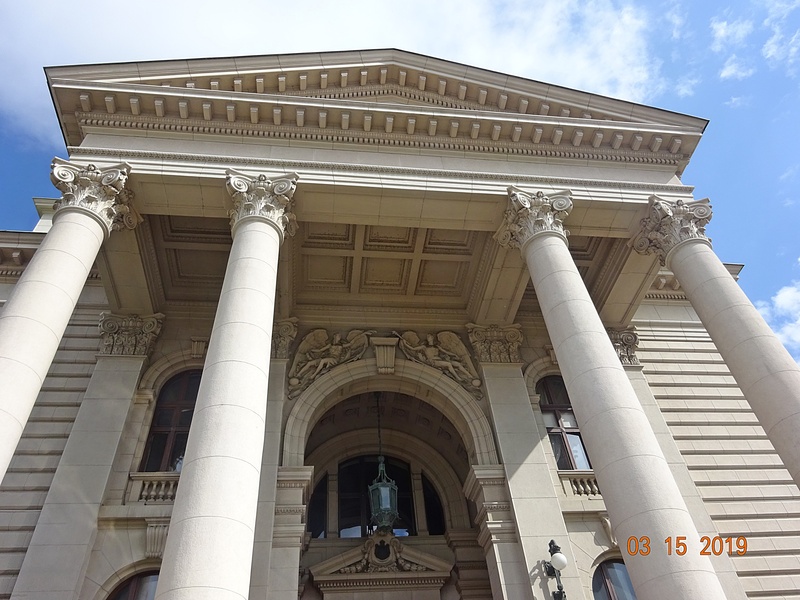 The architecture is based on the design of La Scala Theater in Milan. It’s built on the location of former Stambol Gate – one of four gates placed at each way out of Belgrade. 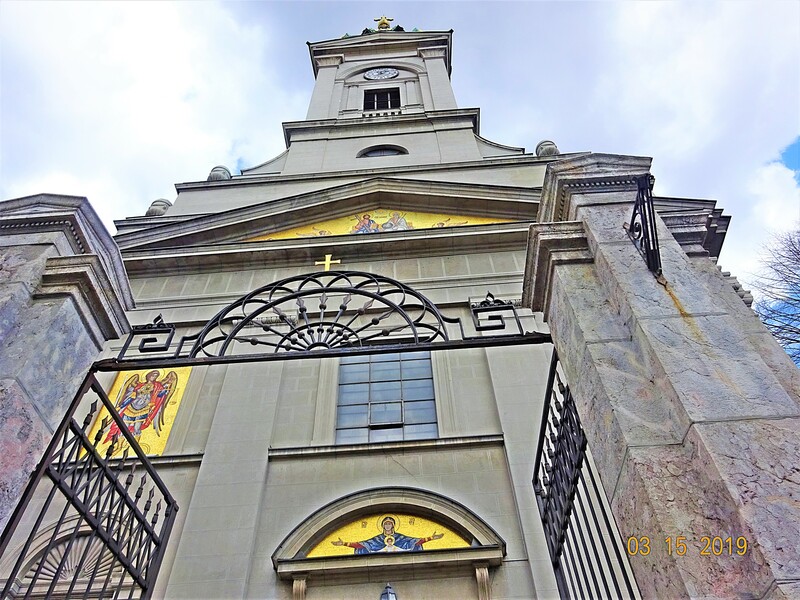 Built in 1869, it’s a symbol of Serbian culture, tradition, and spirituality. 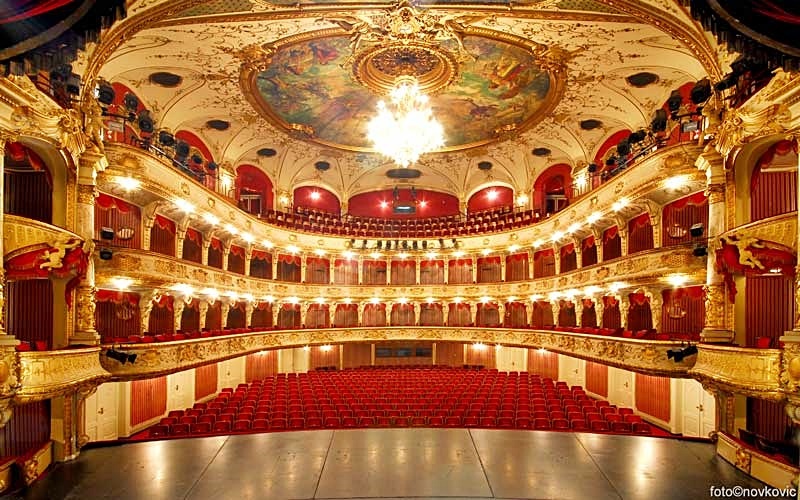 The popular theatre hosts opera, drama, and ballet performances. 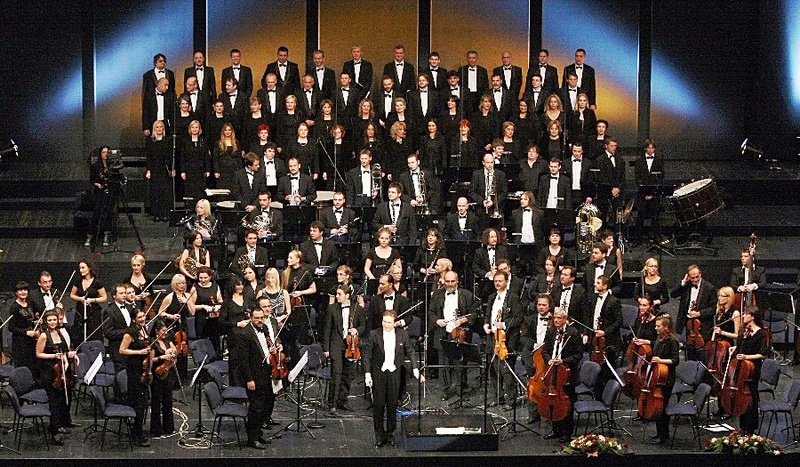 The amazing performing art venue has performances every day of the week. Most are sold out. National Theatre was declared a Monument of Culture and Importance in 1983. Bombings during 1941 and again in 1944 damaged the theatre’s exterior, interior, and façade. Many architects and engineers participated in upgrades, annexes, expansions, and reconstruction between 1870 and 2018. 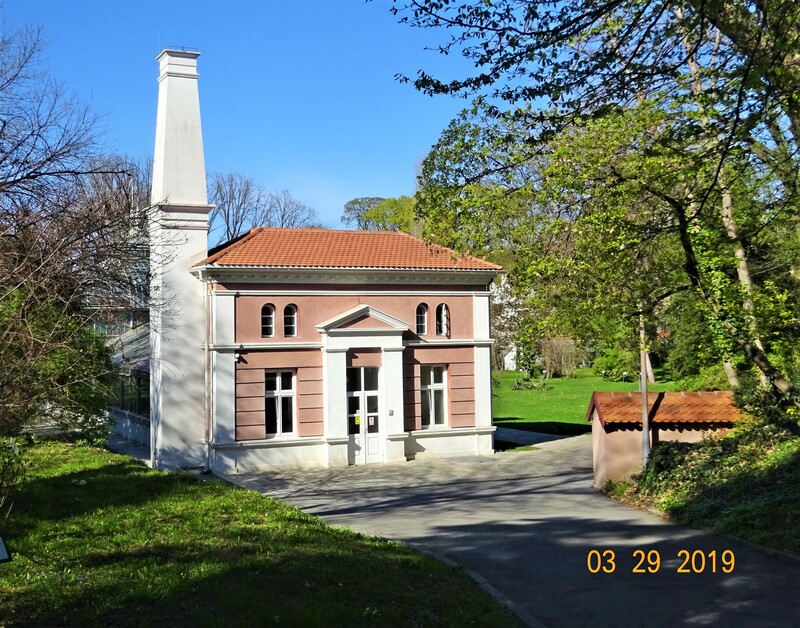 The design is a blend of Vienna Secession and Baroque architecture. Even with auditorium and stage expansions, there’s limited seating. 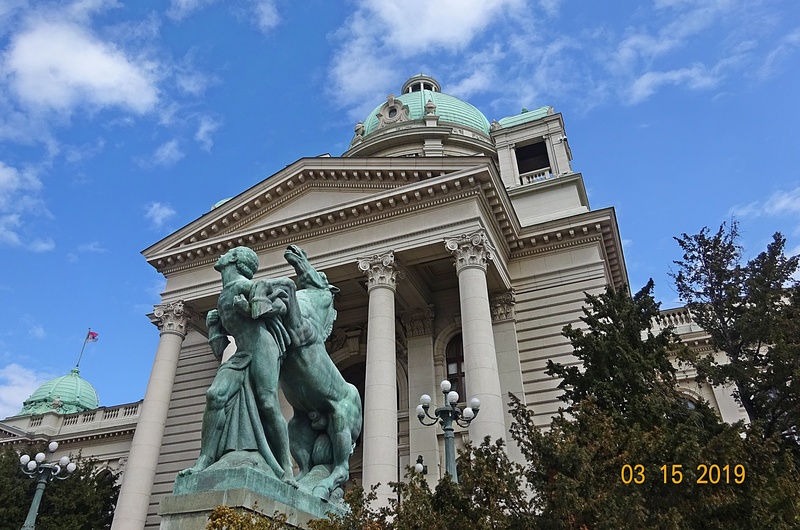 Established in 1844, Serbia’s National Museum is the largest and oldest museum in Belgrade. Since 1950 it’s been in Republic Square. The “museum’s collection has grown to over 400,000 objects, including several foreign masterpieces”. 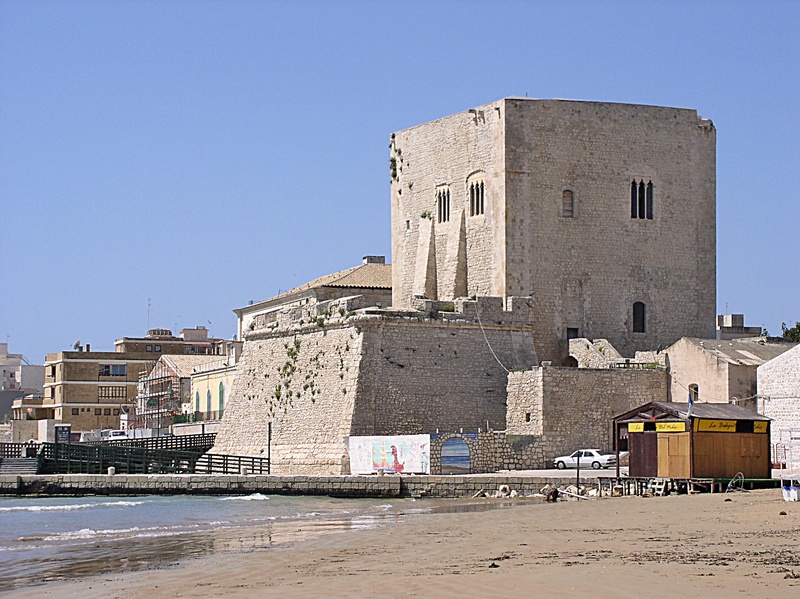 It was declared a protected Cultural Monument of Great Importance in 1979. Like the National Theatre, the National Museum experienced bouts of redesign and renovation. Various architects and builders were involved, including Andra Stevanović and Nikola Nestorović. 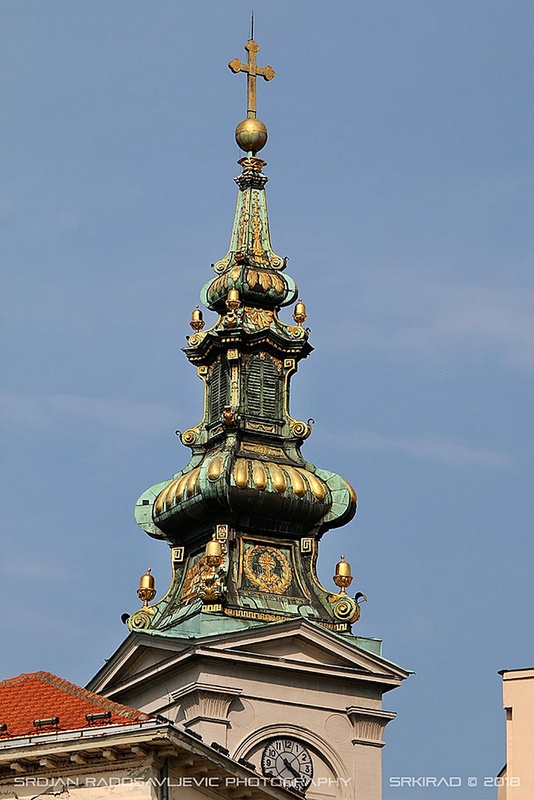 It’s built in Neo-Renaissance style with Neo-Baroque elements on the domes. WW II bombings destroyed the domes.